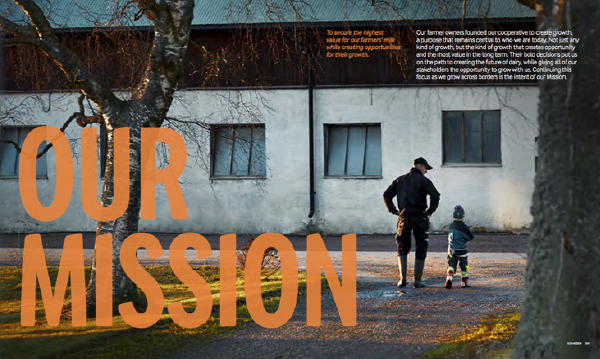 Having achieved their target of 10 billion Euro in sales two years ahead of their strategic plan, Arla needed to clarify their ambition for the future. 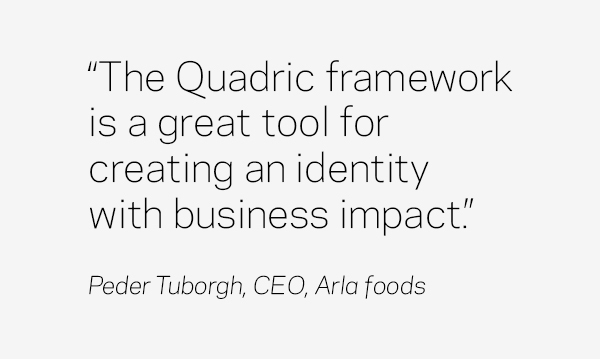 They faced dual challenges of integrating multiple mergers while creating organic growth. 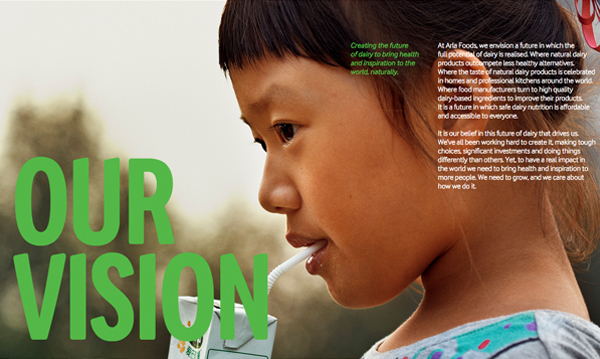 Working closely with a cross-functional team, we developed the new Mission and Vision, balancing the down-to-earth commitment to the farmer owners while creating a new focus on the aspiration of “creating the future of dairy.” With the direction clear, we then developed the Identity and Principles on which the future of Arla would be built. A clear focus on Good Growth is now aligning all activities, from innovation to recruitment and marketing. 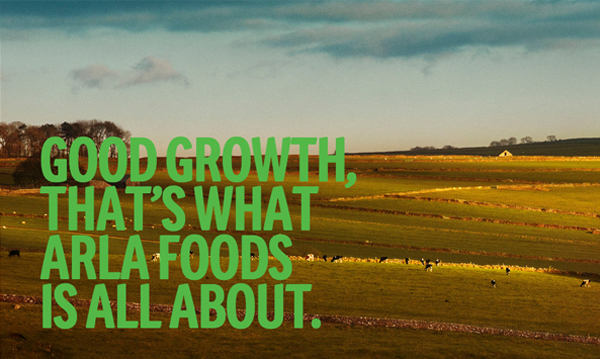 Updating the corporate visual identity aligned the look and feel of the company, while re-positioning the Arla consumer brand to “let in the goodness” created a new focus in the market. © 2019 Quadric. All Rights Reserved.